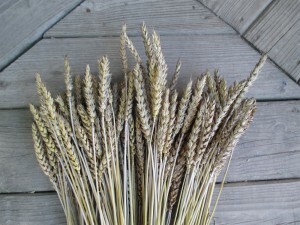 A heritage wheat from France. This variety does well on rich clay soil. It also has stiff stems and is more lodge tolerant in fertile ground. I had very minor lodging issues at “grain fill” even during multiple, heavy downpours. It also appears to be very high yielding. Extremely easy to thresh and is awn-less. Rouge De Bordeaux performed well for me as a spring wheat. I have planted a plot this fall (2016), to see how it stands up as a winter wheat. Any idea what’s up? Sold out? have the winter grains available in late August. I just harvested a bed of Rouge De Bordeaux this morning. It will be available in August. 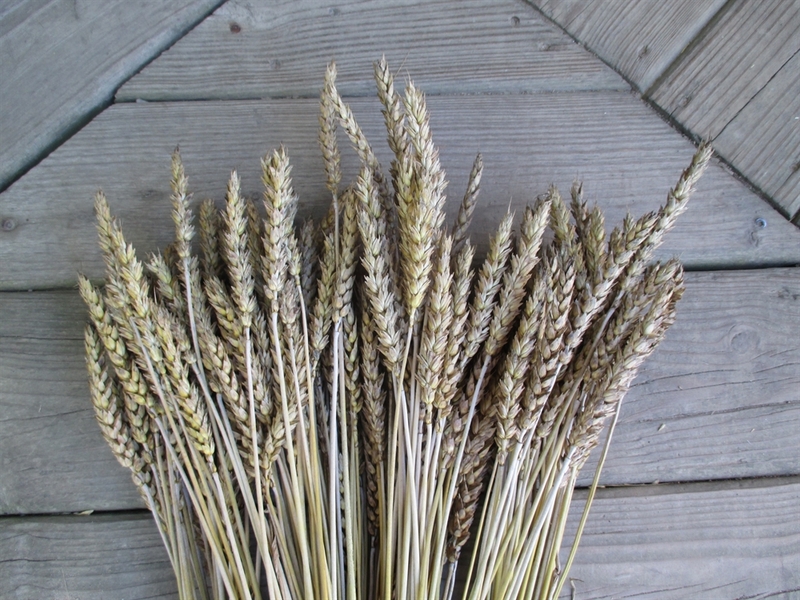 Do you know anyone who has tried Rouge a Bordeaux wheat as a winter wheat? We have some of last year’s Rouge a Bordeaux wheat that we would like to sell to someone that wants to plant it as winter wheat. We are just not sure that it would do well as winter wheat since it was grown as spring wheat. I grew Rouge de Bodeaux as a winter wheat and just harvested. The quality was excellent. It was a very mild winter here in Northern Indiana. I am interested in purchasing a sample (seed packet) of Rouge de Bordeaux. I am simply trying multiple types of wheat for winter wheat here in coastal Northern California and the Rouge (as well as SherckSeeds) were recommended. Hello Patrick. I should have fresh seed for winter wheat and rye available in late August. All other seed will be available in mid-November. We have Rouge a Bordeaux wheat for sale now, but we would prefer to sell in quite some volume. Beside that we did not intend to use John’s website as a place to sell our products. 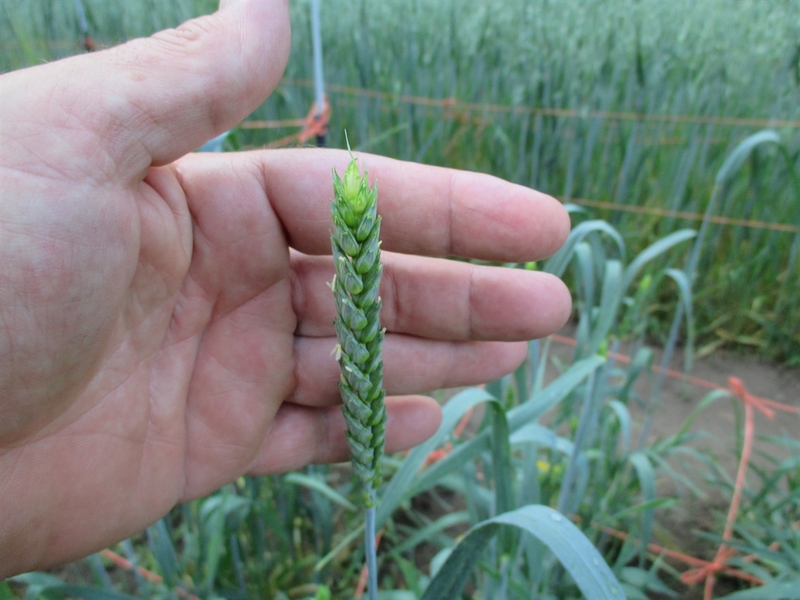 If you still have the Rouge de bourdeaux wheat seed, we are interested in trying it out to see how it does as winter wheat in southeastern North Dakota. We’d be interested in two 50 lb bags. If you are interested, how can we get in contact with you? You may contact us at 701-490-2432 any time. We have Rouge de Bordeaux in larger quantities, too. We also have Egyptian hulless barley in larger quantities that we started from few seeds. Thank you for your interest – we are looking forward to hear from you. of just hanging out in a seed bank freezer. Thank you so much. That is the way we think, too – that folks raise and eat good food and enjoy good health. I am growing my small package of rouge de bordeaux seeds just purchased here for growing in October in central Texas. We have heavy limestone soil, high humidity and mild winters. I’ll keep you posted on that project. Does anyone know how I should amend my soil? It is very rocky so I’ll have to add soil for better root development. I bought an ounce of Rouge de Bordeaux by mistake. i was looking for the flour alone. I cannot grow these seeds as I live in the city. would anyone like my seeds to plant and harvest? I do not want them to go to waste. If you have a yard, why not plant the wheat in your flower bed? It will grow to about five feet if conditions are right, and is a beautiful plant when the grain forms. Beside that, you can enjoy harvesting the grain.